Damages are the sum of money that a plaintiff is awarded following a lawsuit. Basically, the damages are the amount of compensation that the plaintiff will receive from the defendant. The fact finder (judge or jury) will determine the damages in the lawsuit. The damages that the plaintiff receives in their case will depend on a number of different factors including what type of case the plaintiff is litigating and what type of injury he or she suffered. If the plaintiff suffered a large injury obviously, the damages will be greater. Are there different types of damages? There are two different types of damages in lawsuits. First, there are compensatory damages. These damages are designed to compensate the plaintiff for the harm that the defendant caused. There are two types of compensatory damages. First, there are economic damages. Economic damages are designed to compensate the plaintiff for the plaintiff’s out of pocket expenses that the plaintiff suffered as a result of the defendants actions. The other type of damages are punitive damages. This topic is discussed below. What are the damages that plaintiffs are awarded in employment discrimination cases? Plaintiffs can recover the wages that they did not receive (including lost bonuses and overtime). The plaintiff will also recover interest on the lost wages that the plaintiff did not receive. Employees can also receive damages associate with lost benefits. For example, if the plaintiff was receiving a living siphoned from the employer they can receive this as part of their damages. The plaintiff has a duty to mitigate their damages in the wake of an employment discrimination cases. Mitigation is the process of reducing the plaintiff’s damages through actions that the plaintiff takes. This means that the plaintiff must take efforts to minimize the damages that the plaintiff suffered as a result of losing their job. Basically, the plaintiff must look for another job after they lose their job with the defendant. If a plaintiff doesn’t look for a new job, the ex-employer can argue that the plaintiff did not mitigate her damages and thus should not be entitled to compensation. In the event the Plaintiff finds a new job and the pay is lower than the last, then the damages that the plaintiff receives in their employment discrimination case are reduced by the compensation that the plaintiff receives from the plaintiff’s new job. This can be best illustrated by an example. If the plaintiff was receiving $75,000 a year from the defendant as a salary and then the defendant wrongfully discriminated against the plaintiff and fires him, the plaintiff must look for a new job. If the plaintiff takes another job and receives $65,000 a year the plaintiffs damages will be reduced by $65,000. If you are a plaintiff in an employment discrimination case you have to make reasonable efforts to find employment after you were terminated from employment with the defendant. Further, you must accept employment if the employment that you are offered is of “like nature” to the employment that you had with the defendant. Punitive damages are designed to punish the wrongdoer for their actions. This is different from compensatory damage where the money awarded is designed to basically reimburse the plaintiff for the financial difficulties that defendant caused. Punitive damages are awarded in situations where the defendant’s behavior was grossly negligent or egregious. In other words, the plaintiff will be awarded punitive damages when the defendant actions were extremely reckless or showed a gross disregard for the safety of the plaintiff. The intentions of the party is what governs whether the plaintiff receives punitive damages from the defendant. Punitive damages are not awarded in many cases because the standard is very high. How do judges and juries measure emotional damages? As mentioned earlier, emotional damages are a type of compensatory damage. Unfortunately, non-economic damages are not as easy to measure as economic damages. Emotional damages can be measured in a number of different ways. There are two rather common ways that plaintiffs use to measure damages. First, an expert witness can testify about the trauma that the defendant suffered. Next, the plaintiff or someone close to the plaintiff can testify about how the defendants actions affected the plaintiff. Do I have to pay taxes on the damages that I receive? Our team recently put together a blog post that goes into further detail about which types of damages and settlements are taxable. In short, employees often forget that if they receive damages from their lawsuit they will have to pay federal taxes on the sum that is not attributed to prejudgment or attorney’s fees. Plaintiffs do not have to pay taxes on compensation related to a personal injury. If you have any questions about your claim you should discuss your case with an experienced attorney. The legal world can be hard to navigate. If you have an experienced attorney on your side, it will be easier for you to go through the lawsuit. 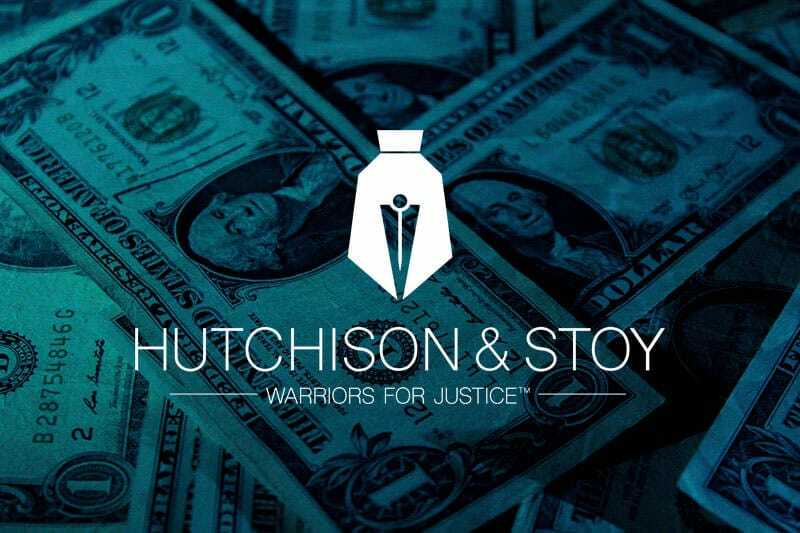 The lawyers at Hutchison & Stoy offer free case consultations that are designed to help individuals to determine what their legal rights are.